Welcome on this my first on WooCommerce Tutorial tips, i have current project on wooCommerce and every i learned on this big project, i decide to share on this blog. You can able to remove any specific countries in the checkout page on this code, it will override the function showing the country list in the dropdown in checkout page, but will not use this method, it’s because will cause a unfunctionally of State field in checkout page. in ‘General Options’, then ‘Sell to specific countries’ Choose ‘Sell to specific countries’ in the drop down. here’s mine, on my site. 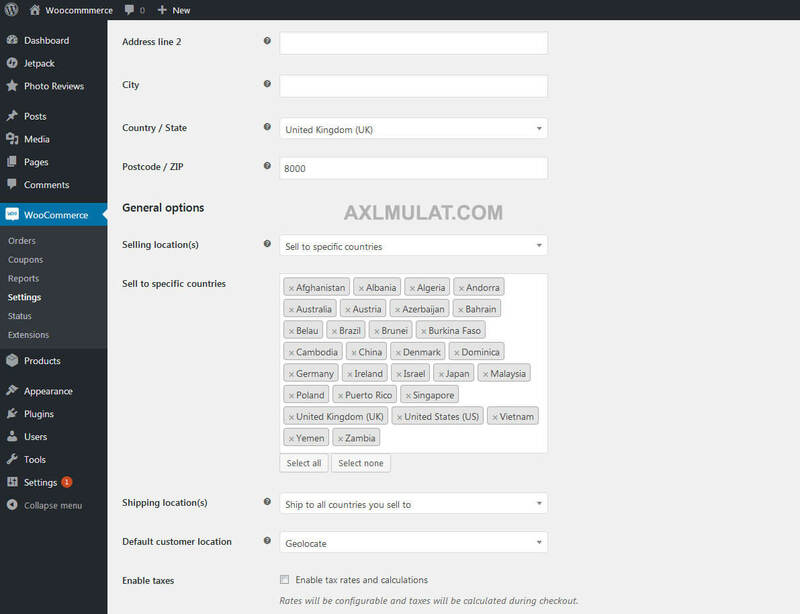 As you see in the screenshot i add a specific countries in ‘Sell to specific countries’ that’s countries will show only in the checkout page and Customer’s My Account Page and Addresses. for bonus reference on your project, Here’s the woocommerce countries list in array format. Like this post? kindly like and share to your friend, thanks for reading clearly.